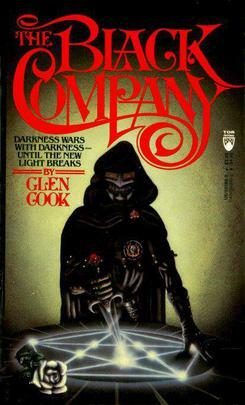 If you are not familiar with the Black Company Books by Glen Cook, you should be. They are excellent! The series can not be purchased in groups of three books! I’m not going to talk about the books (although I really love them), I am going to talk about a card game. Tonk. What do these have in common? The Black Company (main characters of the series) always mention playing Tonk (for money, and Goblin always cheats). My husband introduced the Black Company to me and we talked a few times about learning Tonk, because it sounded so fun. We looked it up a few times and couldn’t get our heads around it even though it seemed simple. Last night we decided to put some effort into it and just learn the damn thing. We found the most awesome video. (Don’t worry its the one below). We took out the cards Cory and Lain from NWW gave me to go with Cory’s awesome book at the Meetup, and started to play. Yup, its totally fun. We are always looking for a good 2 person game and so far two nights in a row have totally enjoyed it. We played a few hands last night and a few hands when I got home from work. If you are thinking “come on, cribbage is a good one”, it is… and it is a game my dad taught me. Apparently I am too damn good at it, and both my husband refuses to play with me. So Tonk it is!